Testing by the US Food and Drug Administration has found residues of the weed killer glyphosate in samples of US honey. The Administration has been under public pressure for some time to properly test samples of US foods for the presence of a pesticide that has been linked to cancer. 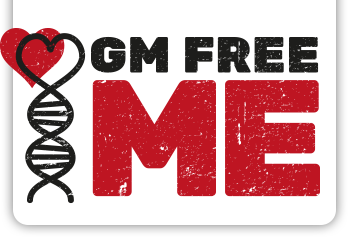 Now according to documents obtained by the consumer advocacy group US Right to Know through a Freedom of Information Act request, FDA testing has uncovered some samples with residue levels double the legally allowed limit in the European Union. There is no legal ‘safe’ level for glyphosate in honey in the United States, so any amount of detectable glyphosate in honey could technically be considered illegal. Some of the honey tested by FDA had glyphosate residues at 107 ppb (parts per billion), well over the 50ppb set as a maximum allowed in the European Union, the documents state. Records obtained from the FDA, as well as the Environmental Protection Agency and the US Department of Agriculture by US Right to Know detail a range of revelations about the federal government’s efforts to get a handle on rising concerns about glyphosate. Writing in the Huffington Post, Carey Gillam, Research Director at US Right to Know, notes that the honey producers are not breaking any laws or using glyphosate themselves – the toxic herbicide is being introduced to the honey by the bees as they forage widely for nectar and pollen. She adds also that the FDA results are not the first to find glyphosate in honey. Sampling done in early 2015 by the scientific research company Abraxis found glyphosate residues in 41 of 69 honey samples with glyphosate levels between 17 and 163 ppb, with the mean average being 64 ppb. 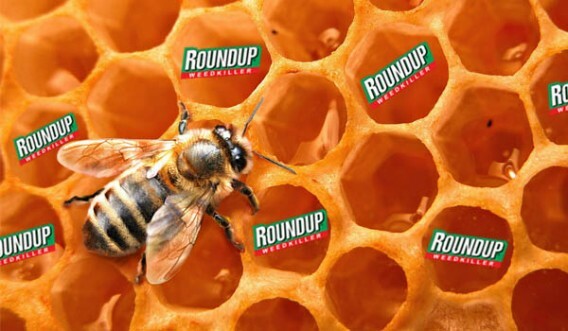 In addition to honey, the records show government residue experts discussing the prevalence of glyphosate found in soybean samples, and the belief that there could be a lot of “violation for glyphosate” residue levels in US crops. Glyphosate, which is the key ingredient in Roundup herbicide, is the most widely used herbicide in the world – and its use has increased dramatically since the introduction of glyphosate resistant GMO crops. Concerns about glyphosate residues in food increased after the World Health Organization in 2015 said its cancer experts determined glyphosate is a probable human carcinogen. Other international scientists have raised concerns about how heavy use of glyphosate is impacting human health and the environment. Even though the FDA annually examines foods for residues of many pesticides, it has declined to test for glyphosate residues for decades. It was only in February of this year that the agency said it would start some limited testing for glyphosate residues. That concession came after many independent researchers started conducting their own testing on various foods two years ago, finding glyphosate in an array of products, including flour, cereal and oatmeal.